Hunting gears have evolved throughout the years. From simple equipment, it became multi-functional, light and compact. These enhancements aided in making the gears more reliable and easier to bring. You might think there are too many gears in today’s time. A bonafide hunter has gear staples in his/her kit. These include items that we must carry during all of our trips. Having a quality and smart gear makes the adventure much safer and enjoyable. Provided in the next sections are hunting gears that were developed and used for decades already. These are obvious necessities such as protective clothing, knives, GPS, etc. We recommend you look into them as it is pertinent to include it on your next hunting trip kit. When planning your next hunting trip, we recommend you bring along these essentials. These can help you accomplish several tasks faster and more efficient. Tools that provide a variety of functions have been around for a few years now. A great example of such tools is an army knife. This knife consists of different blades and equipped with other attachments like a bottle opener and scissors. It was in early 1980’s when an inventor created a pocket tool for survival. It features folding pliers and other functions that can help you with outdoor tasks. It was the number one choice of most adventure seekers as you only need to bring this single tool. Hunters may encounter several benefits in using multi-functional tools. Not only can it perform several functions well, but it can also keep your bag lightweight and compact. It can also provide savings as you don’t need to buy multiple materials to complete your hunting gear. The most common light source since the start of the 20th century is a flashlight. However, most people find it difficult to use when navigating through places. You need to manually position it in line with your sight. This concern resulted in the discovery of headlights or lamps. The headlight was discovered by strapping a flashlight on one’s head. With this, the light shall shine wherever the person’s line of sight is. Headlights are advantageous to hunters as it frees both hands, allowing you to complete activities faster and easier. Most manufacturers, nowadays, have invented lightweight headlights. Some were even made with LED lights which promote energy consumption. This tool has become inexpensive over the years which makes it an ideal hunting essential. 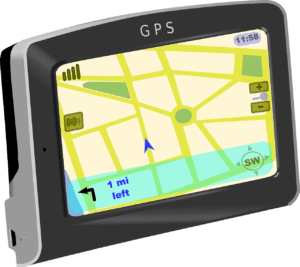 Another important tool for Hunters is a handheld GPS. Bid-wood and backcountry hunters consider GPS as their insurance policy. One can easily know where at what part they are in a specific area using a GPS. This is especially useful if the area turns dark due to the sun setting. Over the past few years, GPS equipment has become user-friendly. You can easily explore its functions without the need for specialized knowledge. In addition to these, they became more affordable and accurate. We recommend you check out your local hunting store to find excellent quality GPS devices. Find one whose manufacturer offers the warranty, guaranteeing you that it will last for a longer period of time. Hunters need to utilize effective clothing and footwear that are not only comfortable but should also be functional. Clothing must keep you warm to eliminate the risk of obtaining sickness or death. Most hunter clothing items are made from waterproof materials. It aids in keeping water in soaking your clothing, potentially making you colder. Moreover, waterproof clothing items tend to be breathable. You can easily pop it out during the hot weather or layer it during cold ones. On the other hand, excellent footwear is preferable as it aids in keeping your feet safe. Most terrains and trails are heavily placed with rocks. Your feet are susceptible from being punctured on injured. With this, experts recommend you to get high-quality footwear such as hunting boots when exploring the wilderness. There are some hunters that acquire hearing issues after a couple of years due to shooting activities. With this, hunting gear manufacturers started creating solutions for this concern. There were a few challenges at first when it comes to this product’s conceptualization. Most hunters love hearing nature sounds such as birds in the sky, quail flushing and trees swaying. Regular ear protective equipment can suppress these sounds. Electronic protection was created to still allow you to hear nature noises, especially dangerous sounds to alert you. Nevertheless, it alleviates the impact or damage to your ears. You can select from different sizes that can fit perfectly in your ear well. If you are buying one for your next hunting trip, make sure that you get it in a waterproof case. Electronic ear protection devices easily get damaged when exposed to water. Waterproof cases are also multifunctional accessory which can charge the ear devices using batteries. Climbing a tree is a difficult task. With this, you need appropriate equipment to help you accomplish this activity. You must remember to use steppers or climbers to prevent potential injuries such as broken limbs due to weight shifting. Hunters can easily climb a tree or just set up a place where he/she can sit through the use of steppers or climbers. These tools can easily be placed on their back while hiking, removing the hassle of carrying it. Finding a nice spot to place the equipment can help you rest. It can act as a comfortable and sturdy seating tool attached to a tree. These are just some of the hunting gears you can utilize. You can start to read online reviews of such gears should you identify one that you want to purchase. Overall, hunting gears are important for an individual to ensure safety and accessibility on reliable tools when completing activities. Not only will help you stay comfortable during your trip, but it can also protect you from injuries. We recommend you check out the hunting gears identified above. There are a number of options in your local and online marketplaces. Moreover, manufacturers even offer excellent warranties on their products. It is preferable to take this opportunity to get reliable hunting gear for your next adventure trip.